The pursuit [electronic resource] / Lizzie Skurnick. Material type: BookSeries: Prequel series: 5.Publisher: New York : Bantam, c2003Description: 1 online resource (199 p.).ISBN: 9780375890406 (electronic bk. ); 0375890408 (electronic bk. 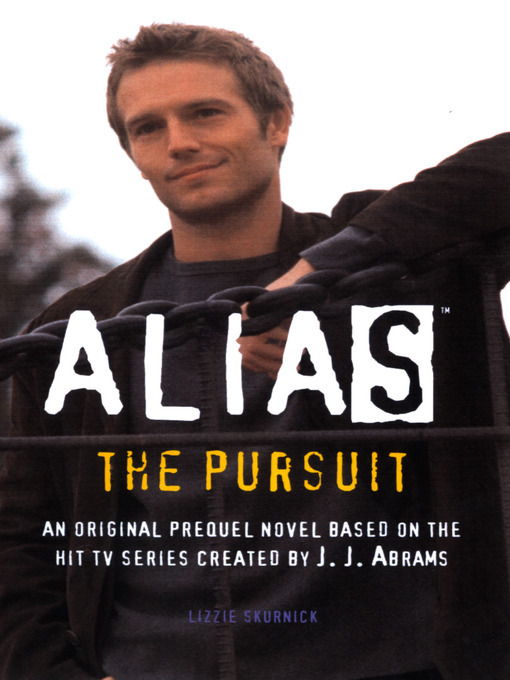 ).Other title: Alias [At head of title:].Uniform titles: Alias (Television program) Subject(s): United States. Central Intelligence Agency -- Officials and employees -- Juvenile fiction | Intelligence service -- Fiction | Vaughn, Michael (Fictitious character) -- Juvenile fictionGenre/Form: Young adult fiction. | Electronic books. | Spy stories.Additional physical formats: Print version:: Pursuit.DDC classification: [Fic] Online resources: Click here to access title or place hold | Image Summary: Michael Vaughn's father left him a legacy: a calling to a world filled with lies, dangerous exploits, and the chance to make a difference. Michael is ready to be an agent for the CIA. To do whatever it takes to honor his father's memory. But serving his country will exact a toll higher that he can imagine. His life will change forever. Michael Vaughn's father left him a legacy: a calling to a world filled with lies, dangerous exploits, and the chance to make a difference. Michael is ready to be an agent for the CIA. To do whatever it takes to honor his father's memory. But serving his country will exact a toll higher that he can imagine. His life will change forever.